The Redwood Steakhouse at the California Hotel, renovated from the old Redwood Grill and reborn in September 2016, is among a wave of restaurants that have opened at Boyd Gaming’s Las Vegas properties in the past couple of years. The newest is the Copper Whisk Cafe, which opened at The Orleans in February. The resort also has a TGI Friday’s, an extensive food court, and a cafe that fills the niche of a 24/7 traditional coffee shop, serving any type of food you could imagine, including a number of traditional Hawaiian dishes such as loco moco and plate lunch. Bailwick opened in November at The Orleans. It’s a casual spot with live music, 40 beers on tap and a menu of small plates such as Japanese fish tacos, reuben egg rolls, burgers, sandwiches — even poutine. The Angry Butcher Steakhouse and Big Mess BBQ opened in the late summer and fall, respectively, at Sam’s Town and their missions are obvious from their names. Big Mess serves the requisite smoked meats and Southern specialties like fried chicken and sweet potato pie. 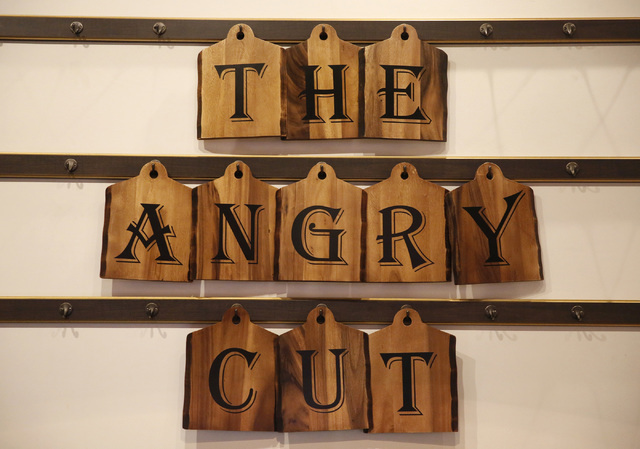 The Angry Butcher’s focus is steak, but it also serves chops and seafood and, on the third Sunday of the month, brunch. Between them came Cornerstone at Gold Coast, replacing the hotel’s venerable Cortez Room. It has a traditional steakhouse menu and offers a long list of whiskeys of all types. They were preceded by Du-Par’s at Suncoast last spring (the only local branch of the Los Angeles landmark, now that the one at the Golden Gate has closed), Alder & Birch and Ondori Asian Kitchen at The Orleans in early 2016 and Brigg’s Oyster Co. at Suncoast in late 2015. The California Noodle House at — you guessed it — the California Hotel — led the wave in early January 2015. Next up: A renovation of Ping Pang Pong at the Gold Coast.